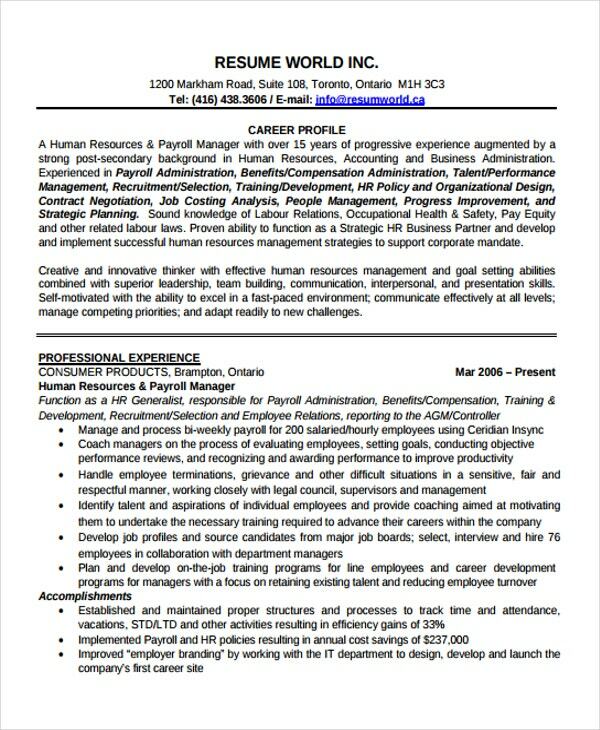 A functional Curriculum Vitae (CV) is used to highlight the skills sets of an applicant rather than focusing on the applicant’s professional experiences. There are a lot of advantages in using a job curriculum vitae template, especially if its purpose of usage is very much aligned with your professional profile and qualifications. 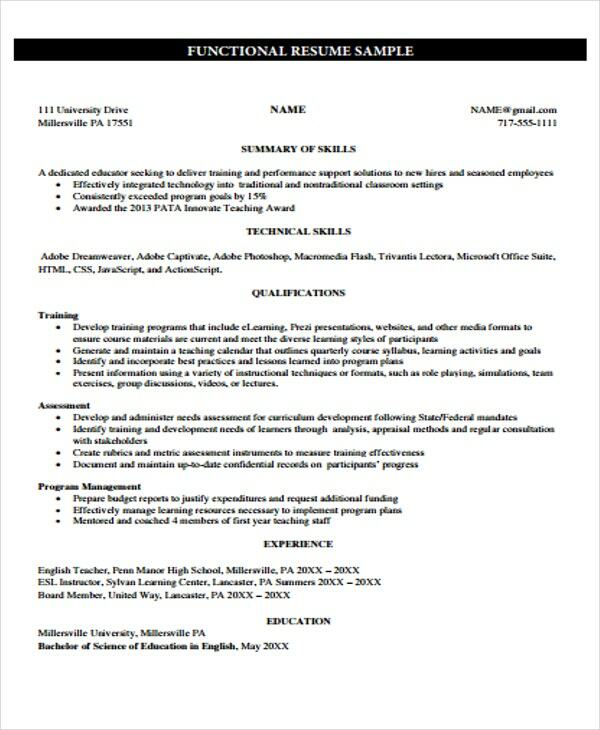 Writing a curriculum vitae will be more effective if you already have a template to follow in curating its content and formatting the entire document. We have a list of various curriculum vitae templates for various applications in different industries and fields which will help you to be aware of the differences of a curriculum vitae vs. resume. All the templates that you can download from this post are in Word and PDF. 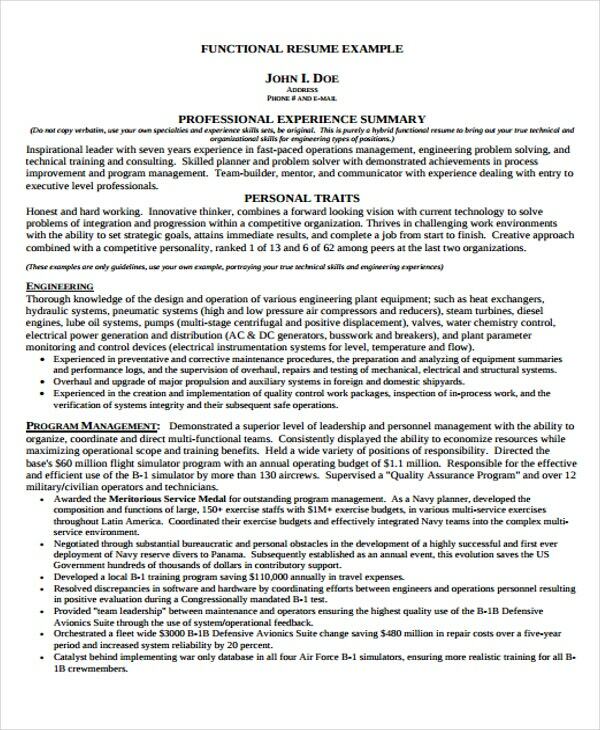 Select the functional curriculum vitae template you think is suitable for your qualifications. 1. 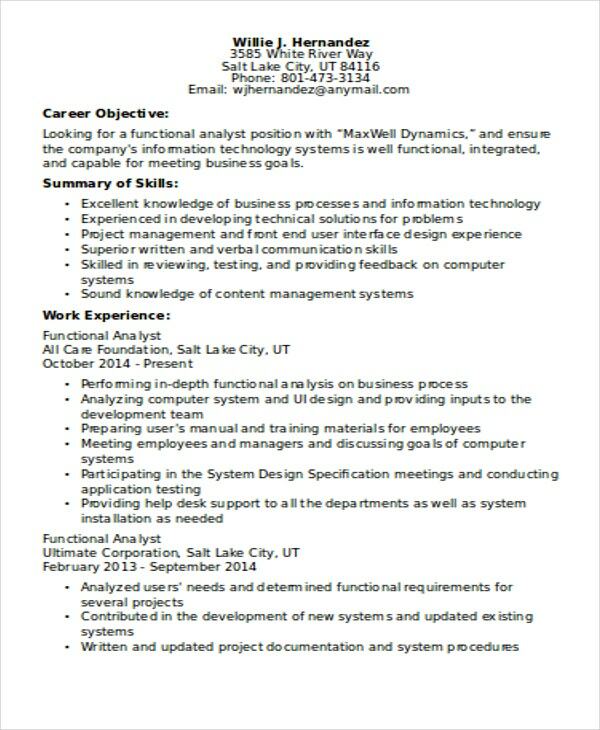 What Is a Functional Curriculum Vitae? A functional curriculum vitae is used by an applicant who does not have an impressive line-up of work experiences. 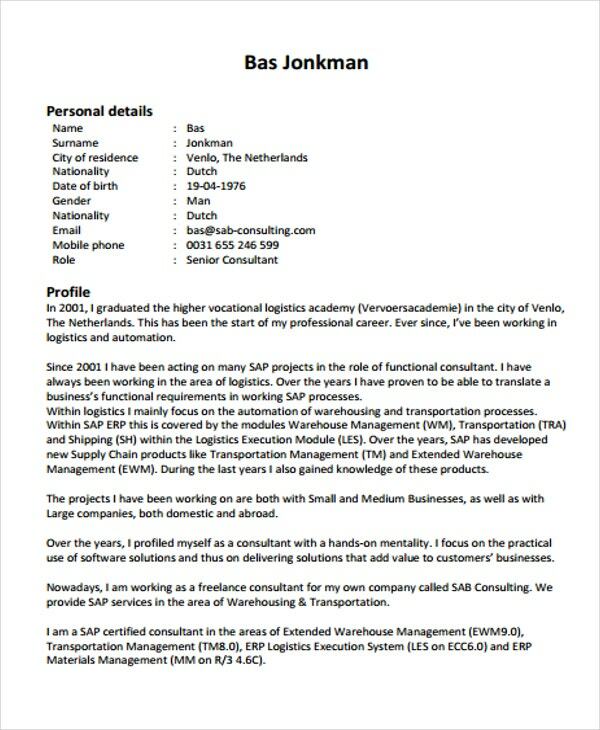 It is very essential for this type of applicant to compensate for the lack of a strong professional background by providing information about their other qualifications. 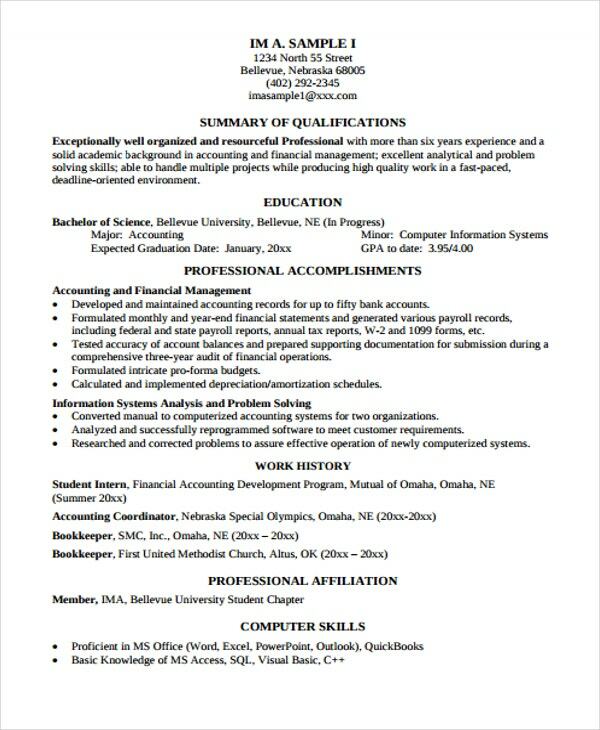 Technically, a functional curriculum vitae is the kind of formal curriculum vitae that lists down the skills, abilities and other competencies of an individual at the beginning of their professional profile. The CV format template that is applied in a functional curriculum vitae can still list down the professional work experiences of the candidate. However, this list is usually placed in latter parts of the executive curriculum vitae template to further focus on other discussions. 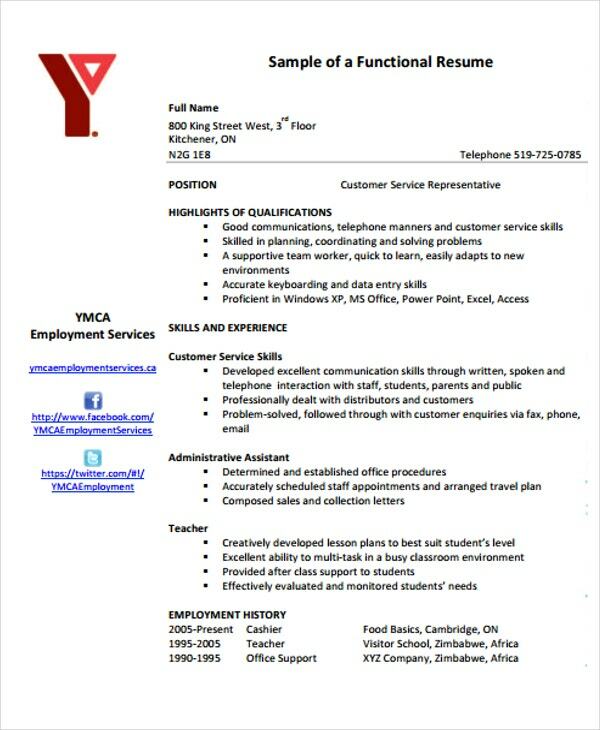 There might be certain limitations to the usage of this type of CV, especially when it comes to jobs that are in need of experienced workers. 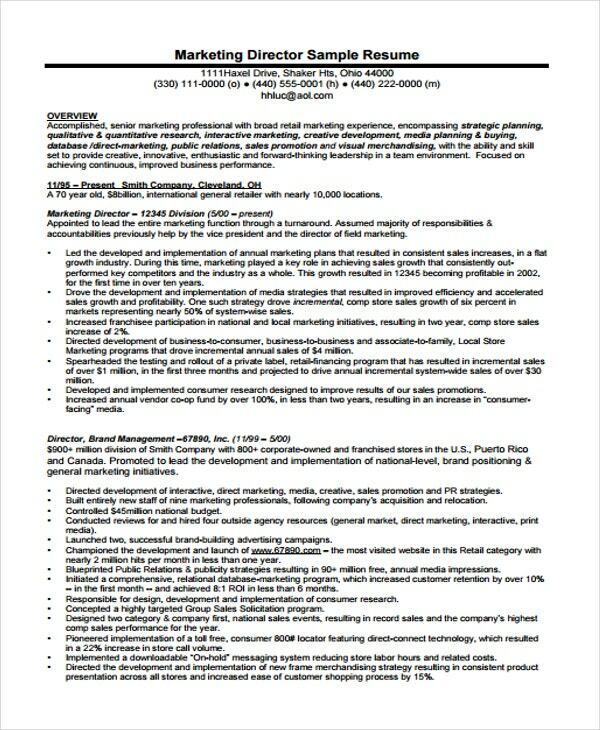 Otherwise, this CV can emphasize an applicant’s strengths. 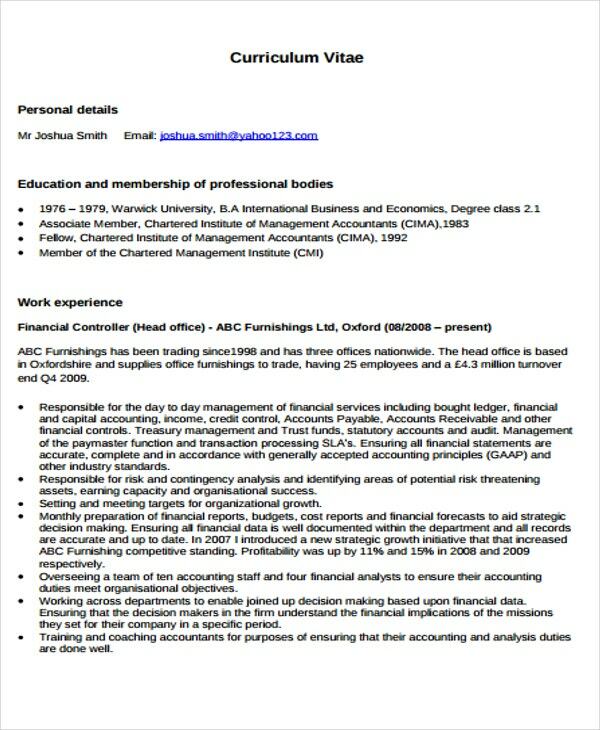 1. Who Can Use a Functional Curriculum Vitae? An employee who has not practiced in the industry where his/her academic attainment is relevant. 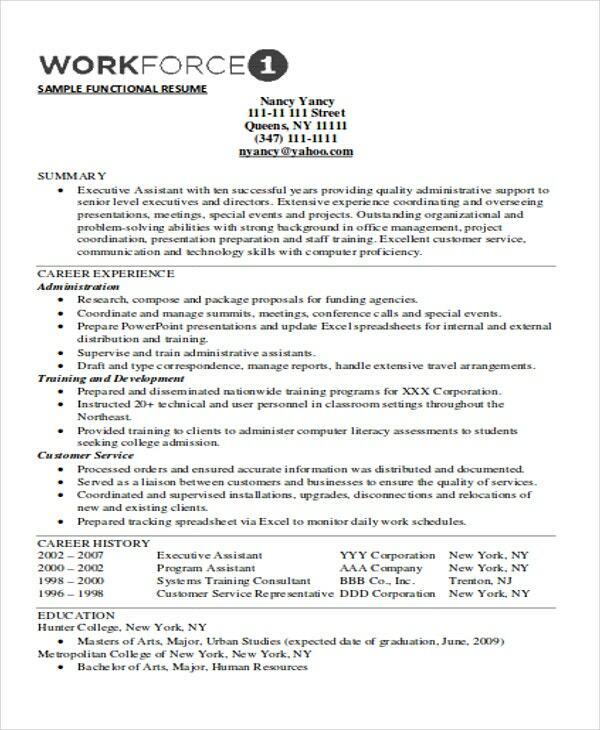 Always be reminded to select from the best CV templates that are available for download and identify which of them is applicable to be used in the job position that you are targeting. More so, make sure that you will properly use a functional curriculum resume especially in terms of your competency and skills listing as it can help you a lot in getting the attention of your prospective employer.